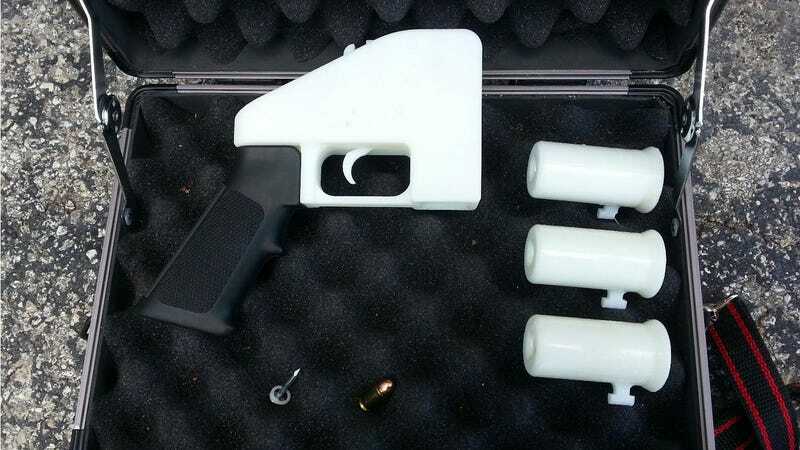 It was only a few months ago that the first fully 3D-printed gun was successfully fired. And it's already made its way to a museum's permanent collection. Not bad for a youngun'. Not just one, but two of the guns were purchased by London's V&A Museum for an unknown price. It could have just printed out its own and called it a day, but instead it opted to purchase a pair actually fired by Texan law student Cody Wilson. You know, the real deal. The invention of this so called ‘wiki weapon’ sparked intense debate and upended discussions about the benefits of new manufacturing technologies and the unregulated sharing of designs online. The V&A has acquired two Liberator prototypes, one disassembled gun and a number of archive items to enhance its collection of 3D printed objects and represent a turning point in debates around digital manufacturing.